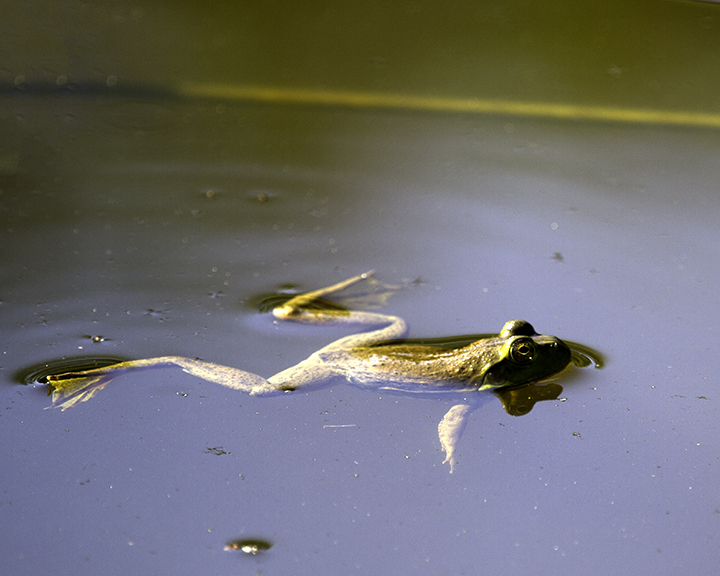 Small frog spending a lazy morning floating on a pond at the Missouri Botanical Garden. 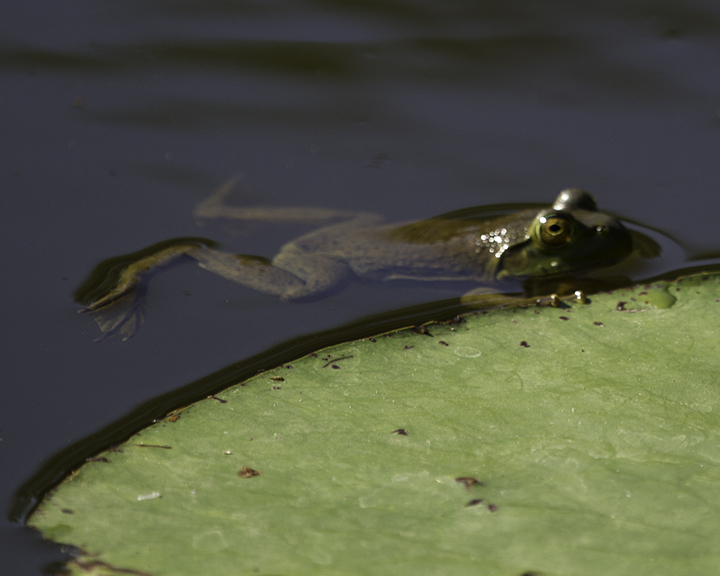 He would occasionally make a stroke or two and move forward slightly but was relatively still for much of the time I watched him and several other frogs about the same size. 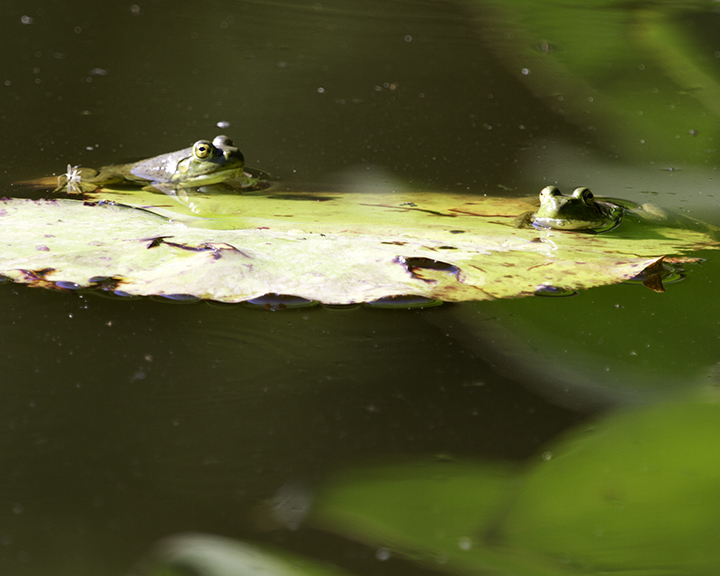 These two small frogs were taking advantage of added support from the lily pad to do a little sunbathing over the weekend.